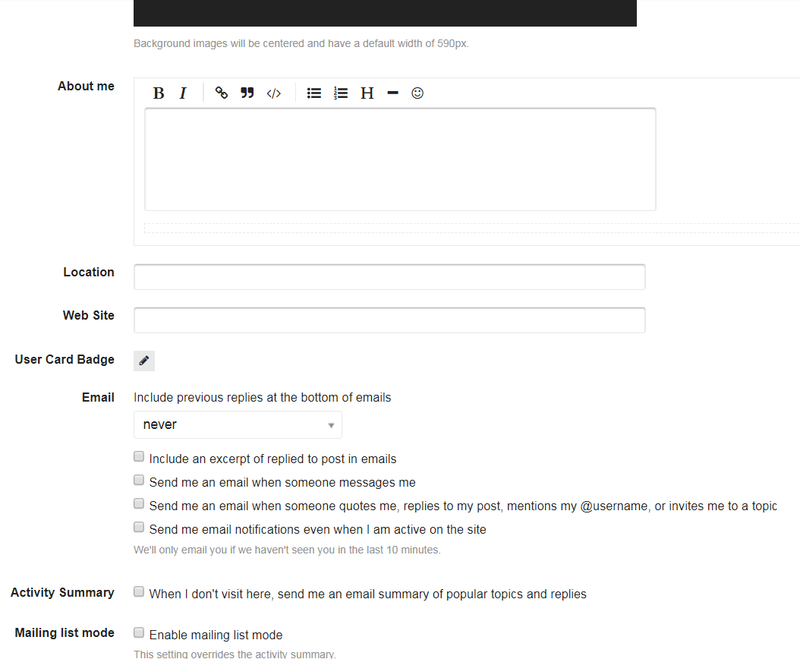 In my other Discourse forum there is a block feature (Called Mute) under account options. It’s fairly limited but still nice to have as an option. I don’t see it (or many other options) here. Just curious if its just not available on this Discourse or if perhaps I just haven’t unlocked it yet? Also is it for Adam the gamer? I’ve only ever blocked one person on a Discourse forum but it was really nice once I did. I know there are differences on each Discourse but wasn’t sure if it was an option I could look forward to on this one. Pretty much exactly my thought. I suppose I’ve been lucky but I’ve never seen such egregious intentional spamming go unchecked on a forum before and it would be really nice to have a way to pare it down. I also think this will die down pretty soon. They already had one time out. I’m sure a second is coming , longer this time. Wow…harsh! Hope this option is applied with discernment. Some Forums have thin skinned cliquey folk and so end up serving an oligarchy of several rather than the whole community. Staying on topic and tempered is one thing but I have seen this option egregiously used in General and Off topic chats as well. Please be fair when troll hunting and include friends and guildies if they are deserving. Can you say that again without those fancy American words? I think you’re a little confused. Such a block feature allows One Person to block One other person from their feed. 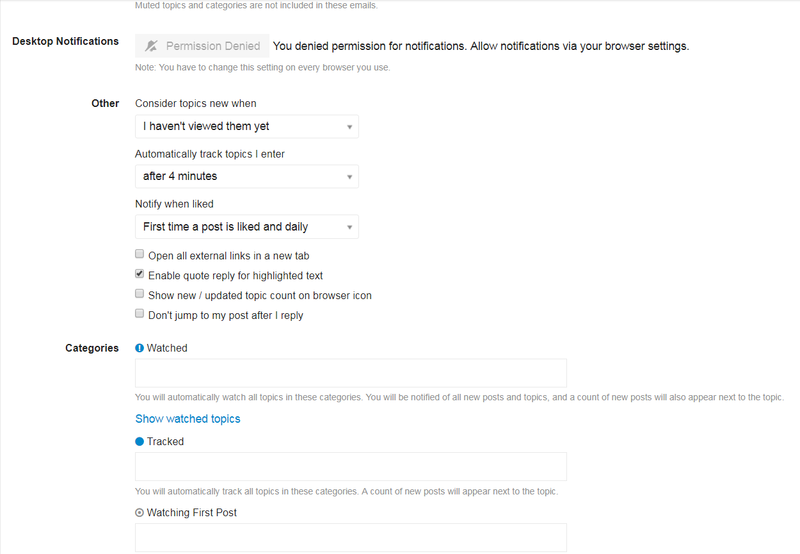 Reveille: Than, if I read it right, you can actually Block new Topics from Latest category in your feed? Is that for an individual’s postings or the category as a whole? It’s something that is available in Other Discourse forums that I’m a member of. 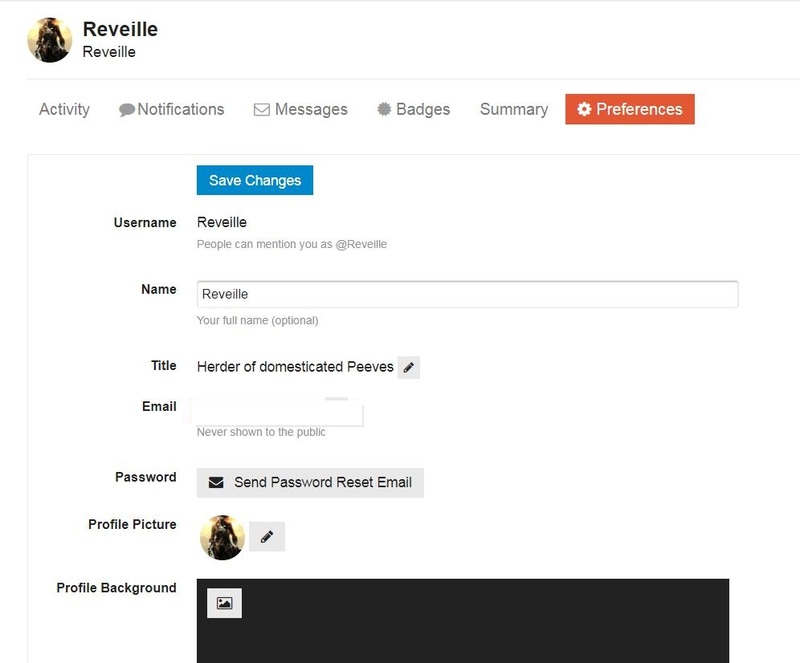 I was asking if it was also available (or eventually available through badges) here. It seems that it is not. Which is fine. I was just curious. It’s hardly a life changing option lol. The way it works elsewhere is nothing from the person blocked shows up in your notifications. You still see what they’ve posted if you click the thread but nothing about what they say alerts you to it’s presence. If you choose to block a thread you can still see it if you look for it but nothing from the thread would show up in your notifications. It looks like blocking other players is in beta in the discourse features. 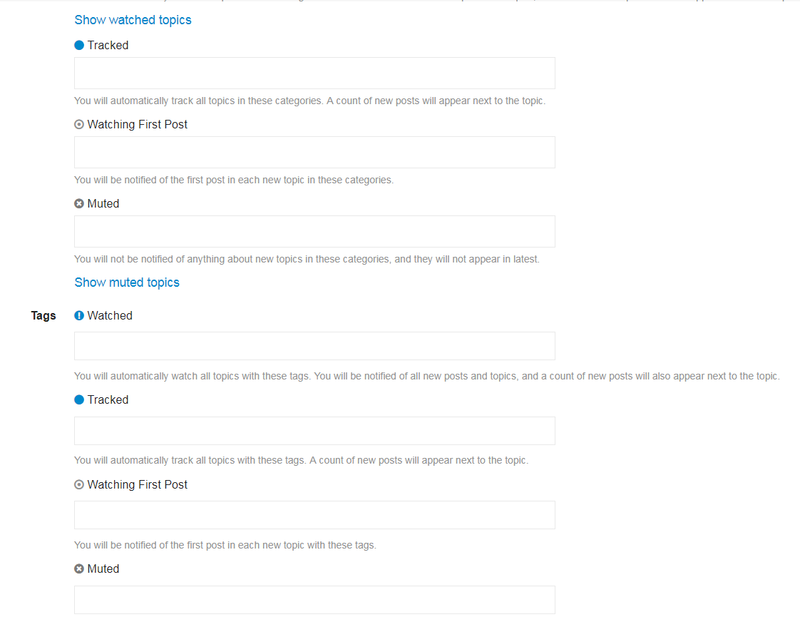 This is an open source forum, so it’s possible the other forum hosts modded blocking into the code themselves.